The Older Adult Program provides rich, community based, mobile, in-home services including psychiatric treatment, case management (linkage to housing, benefits, health care, & rehabilitation services), skill building services to decrease functional impairments, individual and group treatment crisis intervention, Recovery and Wellness Programs, advocacy and referrals for medical, dental, legal, benefits support services and community agencies. In addition to the community based services, the Older Adult Program has an intensive socialization program, providing an opportunity for isolated older adult clients to interact with their peers in regularly scheduled wellness and recovery groups facilitated by Recovery Coaches, and rehabilitation and psychotherapy groups facilitated by Behavioral Health Clinicians held each Friday from 11:00 AM to 2:00 PM in West County and group in East County called Senior Sippers. 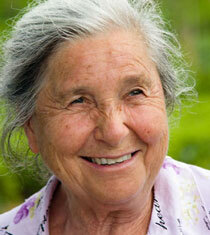 Additionally rehabilitation groups are offered weekly in one of our largest Board and Cares. Through its group program and a rich event calendar that provides socialization and connection with others, the Older Adult Program has successfully engaged clients who had been home bound and isolated. In regards to group or socialization events, clients have said, “I woke up today and said I must go, this is a commitment.” “Group has helped me get out of the house.” “I met people that have the same problem. It’s very helpful with getting support and help with depression.” “Older Adults has been like a second family for me”. Events have included “high tea,” men’s groups, a luau, a hoedown and holiday events. These events provide an opportunity to decrease social isolation. The meaning of these events/groups to the clients has been profound, providing an opportunity to engage with others and to decrease social isolation. The Older Adults Program provides Individual and Group Treatment, Case Management, Rehab services in both the individual and group context, psychiatric services, and medication management support services in clinic and at home. Some services are provided in the clinic, however, house calls including psychiatry are more common.